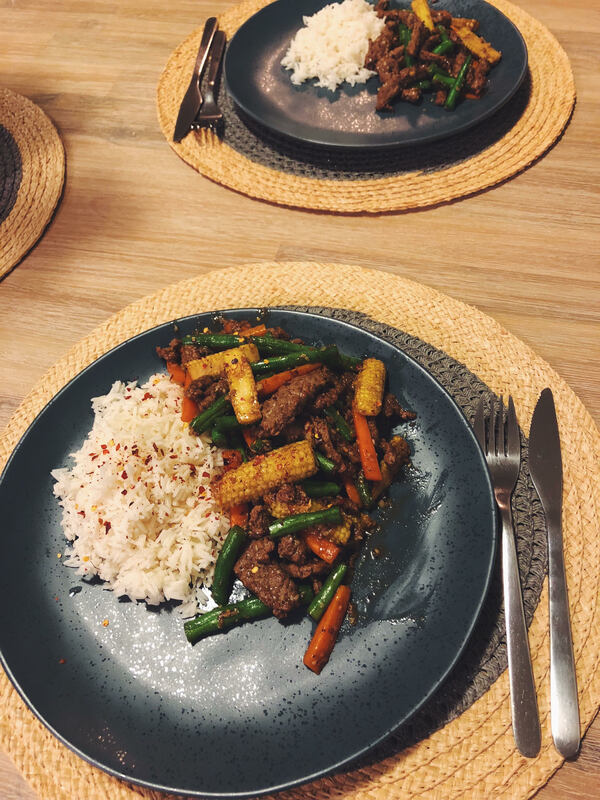 We love a good stir fry as an option for a well balanced meal, and this beef sesame stir fry from taste.com.au was an absolute treat! Try it out. Combine beef and sesame seeds in a bowl. Toss to coat. Heat a wok or frying pan over medium-high heat. Add 1 tablespoon of oil. Swirl to coat. Add half the beef mixture. Stir-fry for 1 to 2 minutes or until browned. Remove to a plate. Repeat with remaining beef mixture. Set aside. Add remaining oil, garlic and ginger to wok. Stir-fry for 1 minute or until aromatic. Add carrot, corn and beans. Stir-fry for 2 to 3 minutes or until vegetables are tender. Combine oyster sauce, fish sauce and sugar in a bowl. Stir until sugar is dissolved. Add to wok. Return beef mixture and any juices to wok. Stir-fry for a further 2 minutes or until beef is heated through. Serve with rice. 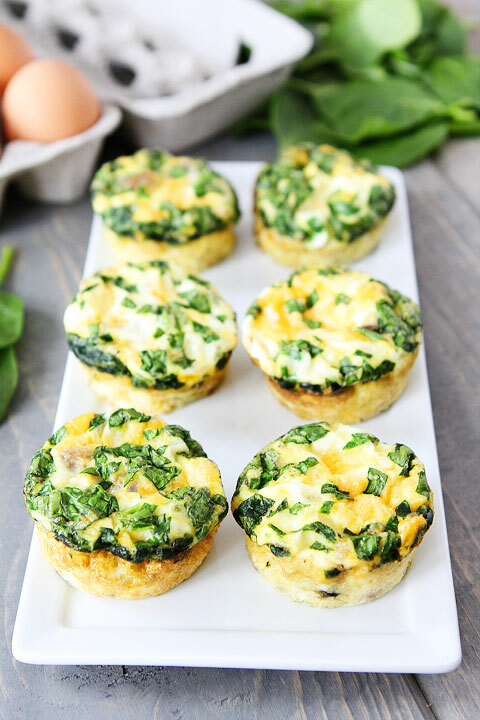 These mini frittatas baked in muffin trays make for a tasty breakfast/brunch option for your weekends at home, and can be reheated in the microwave. Garnish with herbs of your choice (parsley or chives for us) and season with some salt and pepper. Thanks to Two Peas and Their Pod for the idea! Preheat the oven to 350 degrees F. In a medium skillet, brown the turkey sausage links on medium-high heat. Cook until sausage is brown all the way through. Cut sausage into 1/2 inch pieces. Set aside. In a large mixing bowl, whisk together egg whites and eggs. Whisk in skim milk and season with salt and pepper, to taste. Stir in the chopped spinach. Grease 6 muffin tin cups with cooking spray or line cups with paper liners. Pour egg mixture evenly into the muffin cups. Distribute cheese and sausage equally between each muffin cup. Bake egg muffins for 20 minutes, or until the muffins are firm in the center. Remove from oven and gently go round each egg with a butter knife. Serve warm. Preheat oven to 220C/200C fan-forced. Place 1/2 teaspoon oil in each hole of a 24-hole (1 1/2-tablespoon-capacity) mini muffin pan. Place in oven for 5 minutes to heat up. Meanwhile, combine haloumi, corn, egg, flour, lemon rind and chives in a bowl. Divide mixture among prepared holes. Bake for 10 to 12 minutes or until golden and crisp. Stand in pans for 2 minutes. Turn out onto a wire rack. Meanwhile, process avocado, yoghurt, lemon juice, coriander and garlic powder until smooth. 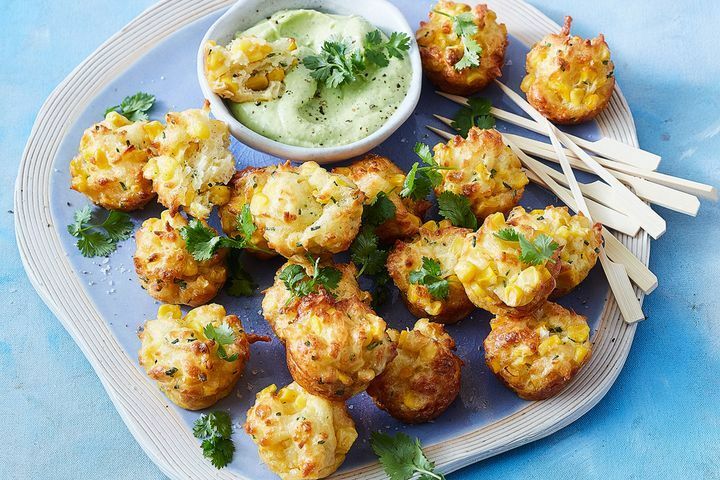 Sprinkle bites with extra coriander. Serve with avocado dip. Thanks to taste.com.au – original page is here. JS-PT trainer Matt – his journey to veganism, and how he’s feeling and training better than ever. ‘Veganism’. A word which is the catalyst for many debates and let’s face it, some pretty hilarious memes. However, as you have probably all noticed, the vegan lifestyle is becoming more and more popular and there seems to be an increased awareness across the board. Hopefully what follows will give you a brief insight into my life as a vegan and the effect it’s had on me, physically and mentally. I became vegan on the 11th of August, 2015, and I have to say it all happened pretty organically. My partner had been a vegetarian for approximately two years so my consumption of animal products had naturally reduced over that duration – but meat, eggs and dairy still made up a fair bit of my diet. She asked if I would be interested in watching a documentary called ‘Earthlings’ which looking back, was probably what started the transitioning process. I’m not going to go into the discussion of ethics – we’ve all seen the videos and anyone with an ounce of compassion can appreciate the moral justification behind veganism. Instead, I’d more like to focus on the health benefits of a plant-based diet, as this was a huge driving factor with me wanting to becoming one of those crazy extreme vegans. After viewing the documentary, I immediately dove into researching the health benefits of a vegan diet and that was “all she wrote”. Now fast-forward almost 3 years and I couldn’t be happier. Now, I don’t want this article to turn into a solo episode of “This Is Your Life”, because to be honest I could talk about this stuff all day. Instead, I’ll choose three of the more significant diet-related points regarding my experience thus far with veganism. 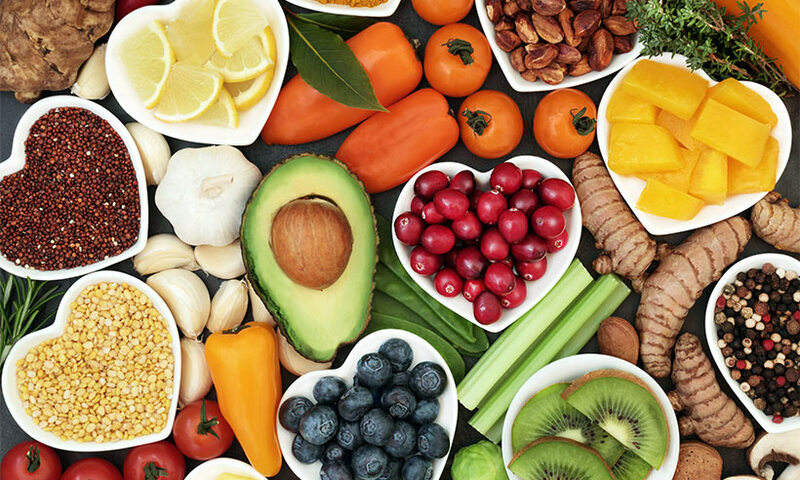 Micronutrients – the bottom line is that plant-based diets, when done correctly, will always result in eating a larger variety of foods. More experimentation takes part in the kitchen, more enjoyment is had with cooking, and as well as being very tasty, the meals are more colourful – and more colour means more nutrients! For example, when you’re meeting your protein requirements with foods such as beans, legumes, grains, nuts, seeds and vegetables rather than beef, chicken or fish, it’s pretty safe to say that you’re meeting many other nutrient requirements as well. Long-term, this sets you up for a far healthier and problem-free life, as you reduce your risk of chronic disease. For example, 28% of deaths in the year 2016 in Australia were a result of heart disease. A very significant factor of heart disease is atherosclerosis – the thickening and hardening of vessel walls – and a major cause of this is high cholesterol. But how many people know that dietary cholesterol solely comes from animal products, and that your liver produces enough cholesterol alone for normal bodily function? For me, the proof was in the pudding when, out of curiosity, I had a blood test in February of this year. My results were perfect, and my doctor was pretty impressed. Also, another fantastic change is that I haven’t been sick since becoming vegan, at all. ‘Feeling healthier’ – I have a very clear memory of 2014. I was in a ‘bulking’ phase and was consuming around 4000 calories each day. I have always strived to be the healthiest I can be, so even during this phase I was still eating plenty of vegetables and wholefoods. However, I still felt so crap. Every meal was a bigger struggle than leg day, and I was pretty lethargic the entire day. It was hard! Fast-forward to now and eating that same number of calories is entirely different. There is a noticeable difference with bloating and lethargy, and I’m generally more energetic. It’s hard to explain, but I honestly just feel healthier. Travelling and eating out – this is something a lot of vegan’s struggle with, but I’ve never really had a problem. Since being vegan, I’ve travelled to over 20 countries with my partner and we’ve never had an issue (thanks to wonderful apps such as HappyCow). Also, almost every restaurant has vegetarian options, and it’s never a difficult task to make these choices vegan-friendly – such as swapping out an egg or dairy product for a suitable alternative. What upsets me is hearing of complaints from the vegan community about restaurants NOT having enough vegan options. At the end of the day, veganism is in it’s infancy, and recognition on a menu in the form of a meal labelled as “Vegan” or “Vg” is a total win in my books. Recognition = awareness, and that’s the beautiful thing. Training progress, body composition and my style of exercise have also all changed quite considerably. In addition to continuing compound strength training, I now incorporate a lot more gymnastics movements and bodyweight training into my regime and am thoroughly enjoying it. All of my personal bests for bench press, deadlifts and barbell squats have improved considerably, and I have learnt new skills such as handstands and ring muscle-ups. Could I have still achieved this as a meat eater? Probably. But, nothing feels better than going to the gym full of energy (which I didn’t always experience as a meat eater) and feeling like you can conquer anything. Also, it feels great to somewhat prove people wrong. Vegans cop a lot of flak and are always being targeted as ‘protein deficient’ or ‘malnourished’, but I’ve experienced more strength and muscle gain than ever before. I would like to point out that I am not an expert on veganism and don’t claim to be. As I said, I strive to be well-educated and due to this point, my knowledge on diet and training is forever expanding. Also, my journey with veganism and the positive results I have experienced are just that – mine. 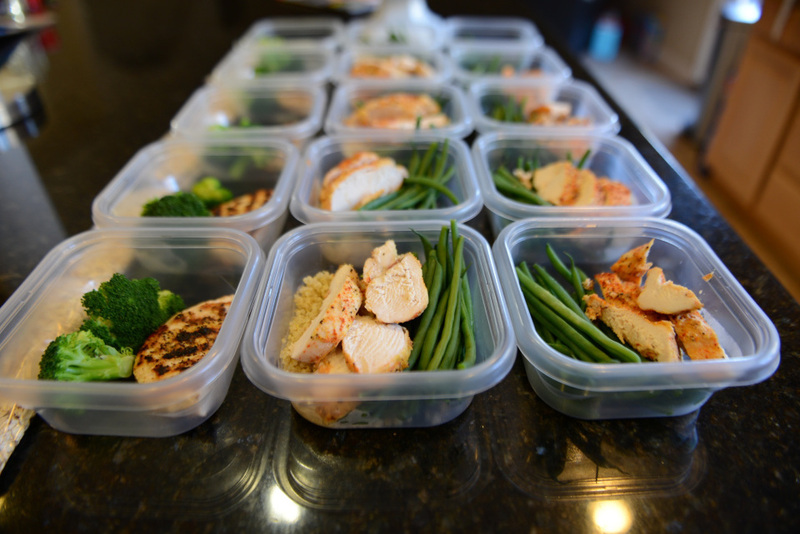 Any diet can be done incorrectly, and individuals need to be well-educated with whatever it is they choose to consume. 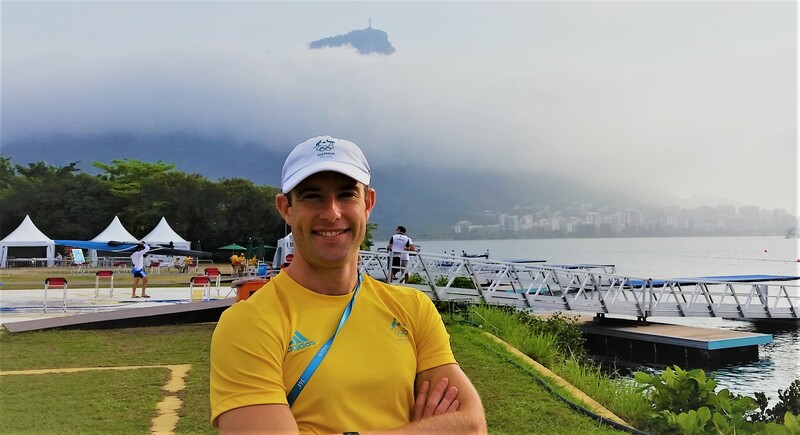 For information on training with Matt, contact us info@js-pt.com.au or PM us through our socials (Facebook, Instagram). For great content including vegan recipes and training videos, Matt can also be found on Facebook and Instagram. 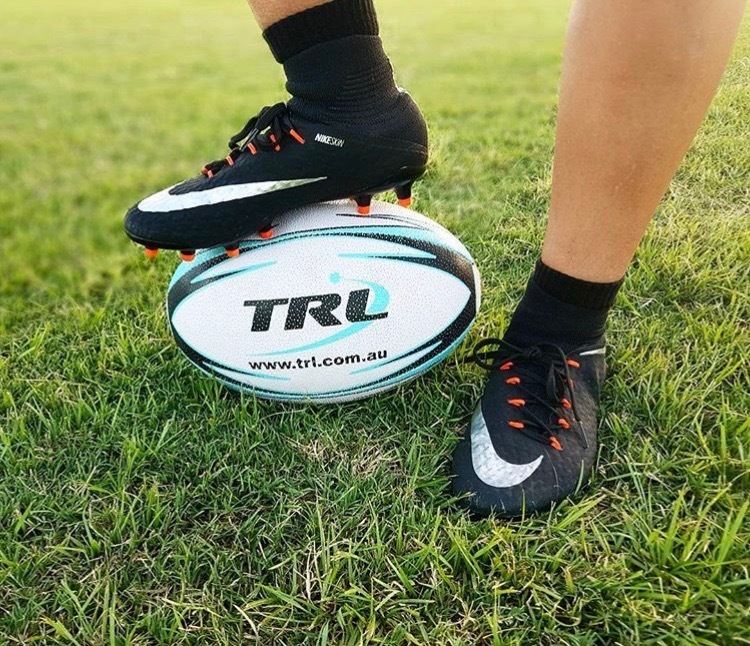 “For most of us, Easter has become a chocolate-filled, sugar-fuelled holiday, full of chocolate eggs, bunny-shaped treats and colourful Easter baskets. For many parents, the prospect of endless sweet treats coming their children’s way can be daunting, so to help out, we’ve got a refined sugar-free, vegan chocolate egg for you to try. These eggs are great fun to make with the kids, and while you’re at it, you could make some Easter baskets, which you can then fill with your homemade treats! You’ll need an egg mould, which you can buy online or at some large supermarkets – depending on the size of your mould, this recipe will make around six to eight small eggs or one bigger one. 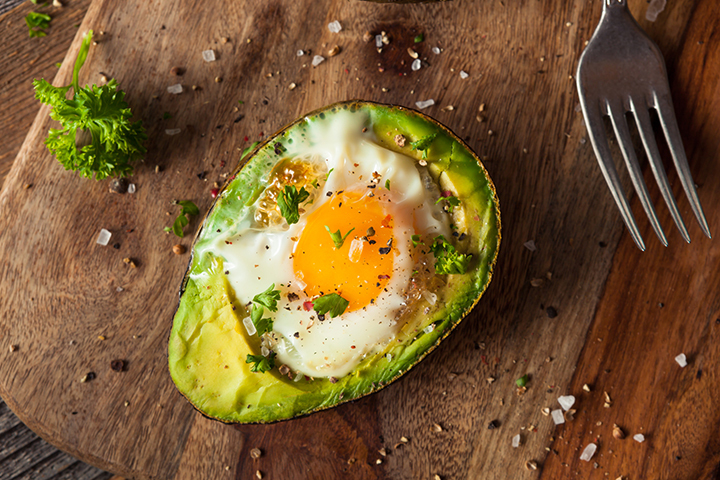 To make 1 large egg or 6 to 8 smaller eggs, you’ll need 200g coconut oil, 6 tablespoons agave syrup and 120g raw cacao powder. You could also add 2 to 3 tablespoons of peanut butter. 1. Melt the oil in a bowl set over a pan of simmering water. Once melted, carefully transfer the bowl to your work surface. 2. Add the agave syrup (you could use maple syrup or even honey for a non-vegan version) to the melted coconut oil and mix together. 3. Add the cacao powder and stir until you have a smooth, liquid chocolate. 4. Reserving a little of the chocolate mixture, pour the rest into your moulds of choice, tilting the moulds so the mixture covers the surface. 5. Leave the moulds in your fridge or freezer for around 20 minutes, or until the chocolate has set. 6. Take the moulds out of the fridge and carefully remove the chocolate egg halves. Spoon in the peanut butter (if using) for a surprise filling. 7. 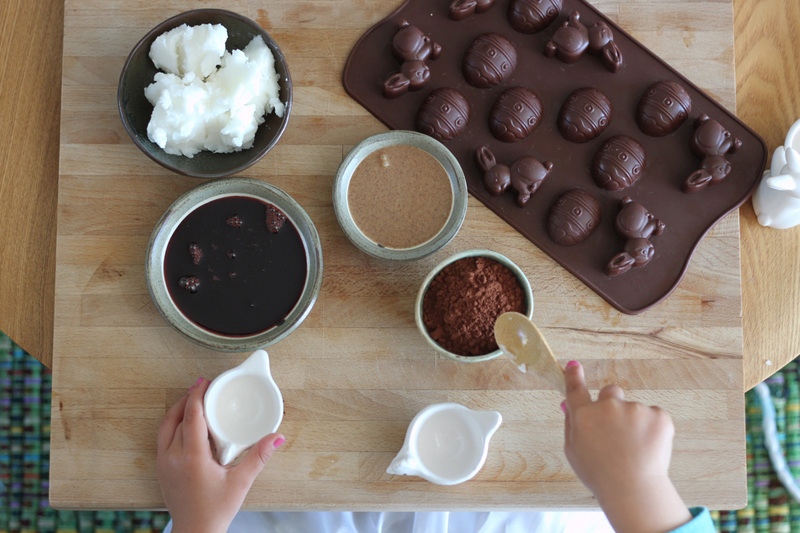 Brush the rim of each mould with the leftover liquid chocolate, then stick the egg halves together. 8. Leave to set in the fridge for a further 10 minutes, then enjoy!